Vue.js ecosystem provides plenty of solutions for many aspects of development, along with many others provided by developers outside of the Vue team. This comparison can help developers decide which solution to choose when it comes to displaying databases, including the additional steps that might be needed, pros & drawbacks, as well as a jQuery "solution". Vuetable-2 Vuetable 2 allows a quick start, but some additional steps are required to get a full-blown datatable with all the bells and whistles. Vuetiful Vuetiful has some other components, too, and is probably aiming to become a full collection of UI components. The datatable has some really cool features, while lacking some quite basic ones like sorting of the full dataset or out-of-the-box support for remote data. Vuetify Vuefify is a really great looking UI and component lib for Vue.js, it really has a lot of components and is using Material Design for layout. 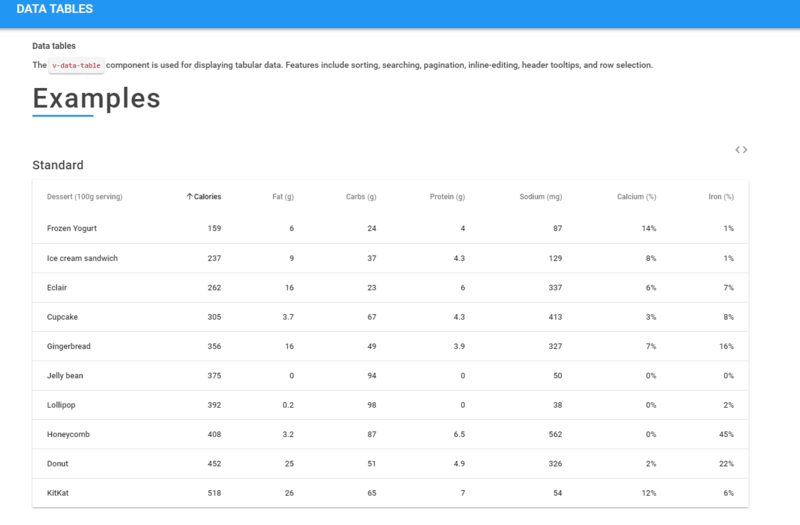 Buefy Buefy is another awesome looking, responsive UI component lib for Vue.js which also features a datatable. 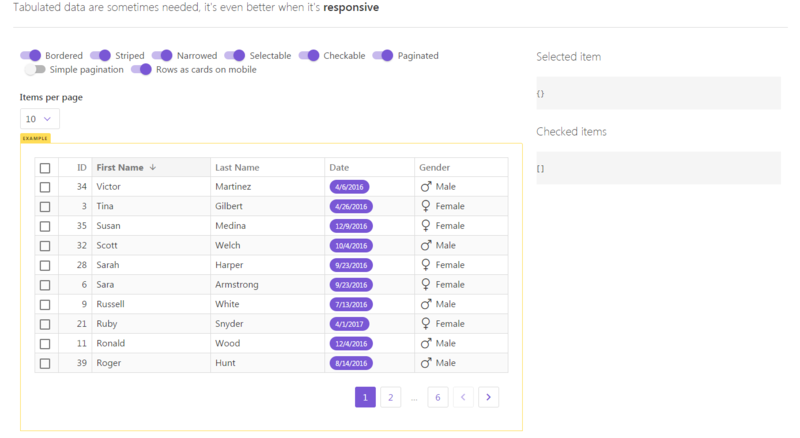 jQuery Datatables This leads to a Vue 2.0 component for DataTables designed for jQuery. None of the solutions is "perfect", but I think every of these components can be used for "real life" projects, it really depends on which features you need and which one "feels" better to you. The author has made the Sourcecode available at a comparison repository for different Vue.js datatables. The comparison was created and submitted by Stefan Moises.